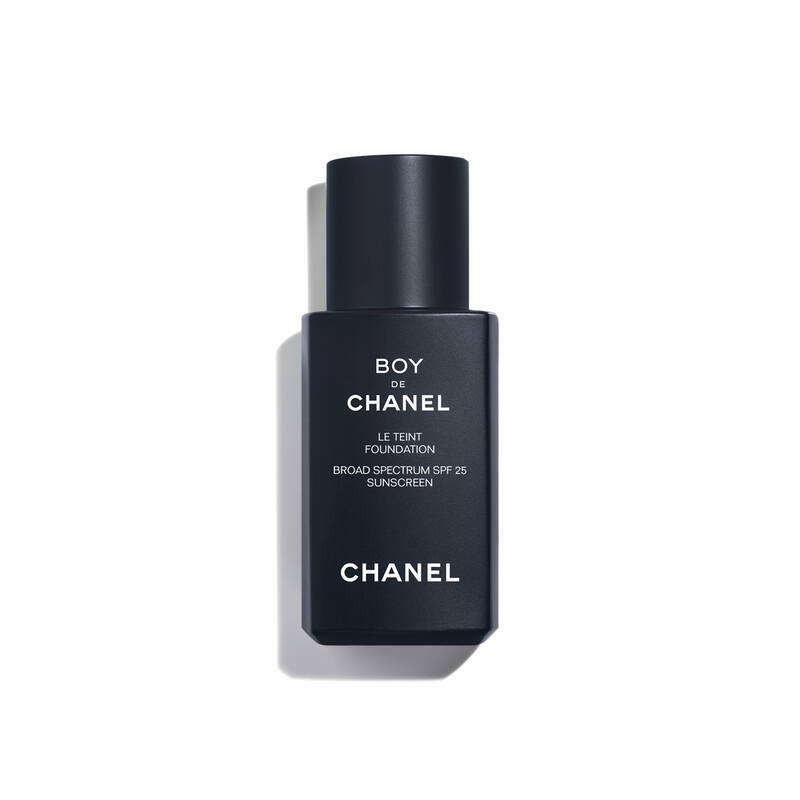 Create a smooth, even complexion with BOY DE CHANEL FOUNDATION, an imperceptible lightweight formula. Comfortable and easy-to-use, the fresh, fluid formula glides on effortlessly, leaving skin unified and hydrated. Invisible coverage delivers visible results that last morning through to night. The longwearing formula features soft-focus micro-particles help to create even-looking skin and correct visible imperfections* for a natural look. Formula includes Hyaluronic Acid for lasting comfort** and hydration, along with Broad Spectrum protection and SPF 25 to defend against environmental stress. *91% over 32 men interviewed are satisfied (1-month satisfaction test). **97% over 32 men interviewed are satisfied (1-month satisfaction test). Use fingertips to apply a small amount of formula as needed or to the entire face. Use a foundation sponge brush to quickly and easily apply for a refreshed look. Trying to expand the products I use. Excited to try something for men, glad it has an SPF and HA! This product has great reviews, and a good formulation with it. In my opinion Men should always look their best wherever they go. 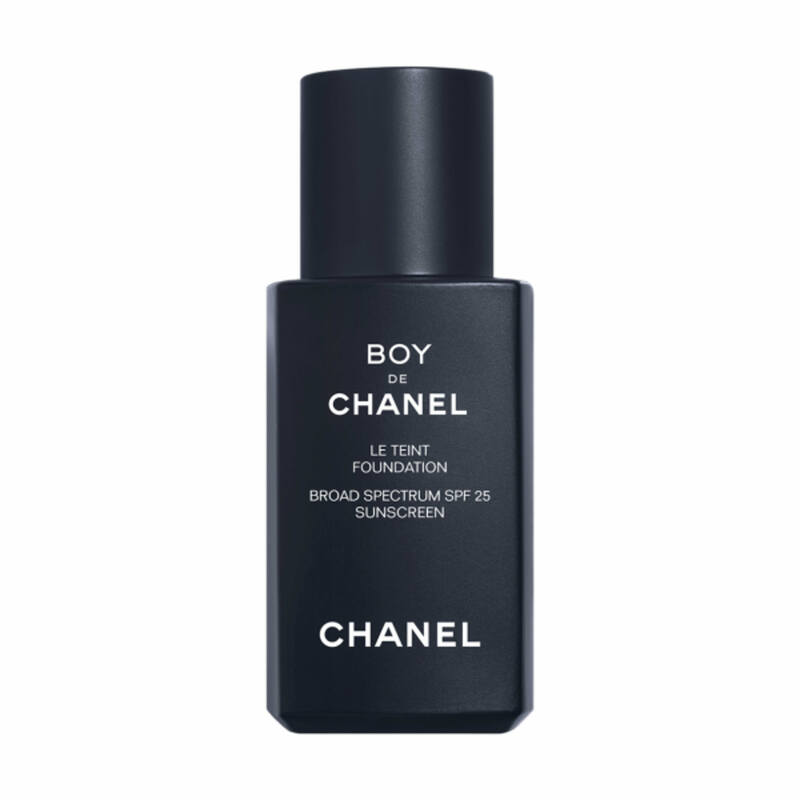 As a boy who already wears Chanel foundation, I am curious to try this out! My husband has freckles & redness. & currently wears one of my light foundations. He is super excited to try the Men's foundation for even skin! I am trying this new shade to see if it better frames my features. Its great to have foundation for men. cant wait to try finally there is one make up special for boys! I work at the Chanel counter as a Beauté spécialiste and is Love to try this new formula! Can I use face cleanser to wash off this foundation? Or do I have to use make up removal? What are the undertones of medium and medium plus? BEST ANSWER: Our Boy De Chanel foundation in shade N40- Medium and out N50- Medium Plus both offer Beige undertones however, shade N50 is a bit deeper of a shade than our N40 colour. I’m shade 30 in le correcteur de chanel (beige) what should I choose in boy? BEST ANSWER: Based on the information provided, we would suggest N30 Medium Light as this is the most comparable shade. How many ounces is this foundation? BEST ANSWER: Our BOY DE CHANEL Foundation offers 1 fl oz of foundation. Highly recommend! Reminds me of the tinted Hydra foundation from years ago. Makes your skin look like healthy skin, yet better. Very rich luscious product in classy package. The foundation covers very well but not too much. I think this product is perfect for men. I purchased this product because I think it’s a big step Chanel has taken. It’s very cool to be able to see a great brand like a Chanel create a cosmetics line dedicated to the care and needs of men. As a product, the packaging is simple, clean, and elegant. The foundation has the traditional Chanel fragrance which I enjoy and it’s very easy to apply with your fingers. The product offers light coverage which is good for a more natural look. There were two things I think Chanel could of done better, to start is helping cover the appearance of pores (I felt they were more pronounced after applying it). The second thing I wish we had is better oil/shine protection, because my face got very shiny after a few hours. Overall this is a great product for those looking for something quick and simple to aid their complexion. I was really looking forward to this foundation and it did NOT disappoint! While I don't believe that make up is/should be gendered, perhaps because this is marketed for men, this foundation is especially light and skin-like. It has a really nice, natural matte finish, doesn't cake, and manages to provide good coverage. I would highly recommend this to anyone. I love this product. So glad they made a product specifically for men. The house of Chanel is amazing. I've used a lot of tinted moisturizers and lightweight foundations for men, and honestly, to no surprise, this is the best. I mix it with another moisturizer to make it even more sheer and it goes on like butter. The real miracle here is how they managed to add an SPF and still maintain that silky texture. This is a core staple of mine now - I bought the whole line and it makes looking great so effortless! The coverage of this product is PERFECT! Blends beautifully and doesn't seem "obvious" that you are wearing any type of coverage! This is a great foundation for men. I first use the the La Mousse face cleanser, and the Hydra beauty Micro Cream after. I then apply the Foundation, and this product has worked great on my skin . It smoothes and evens out my complexion, and blends in very well. I have never felt so good looking as I do when I use this. Being a guy and not having anything guy friendly simple as this to enhance my look has been hard. Using BOY DE CHANEL foundation has enhanced my face’s appearance and gives me a more put together look. The best part about it is that all of the above is so subtle and easy to use. Absolutely LOVE how natural this product looks! A little goes a long way & it's very easy to apply. Literally one pump will leave my whole face looking even-toned & smooth all day long. I apply with the Les Pinceaux Foundation Brush & am very happy with the results. You can't tell that I am wearing anything, yet my complexion looks revived & fresh, but natural & somewhat matte. 4 stars because it does get a little shiny towards the end of the day, but is still my favorite product thus far! A little bit of Les Beiges powder to set definitely helps with shine. Would love a Chanel mattifying blotting powder for touch-ups through out the day. I like that it isn’t so creamy it slides all over my face. I have been using Chanel products for over 30 years. I think this is the best foundation I have used to date! It wears well and gives a luminous glow. I went with shade 70, but probably will purchase a lighter one and blend, So far I have just used a small amount and smoothed it all over. Easey to apply! Create the look of even skin with an imperceptible, lightweight complexion enhancer. Invisible coverage gives visible results that last all day. Skin is even-looking and matte. Define eyebrows and facial hair easily with the lasting, waterproof formula for a natural look. Smooth and hydrate lips with the transparent, non-shiny formula that nourishes lips for over 8 hours. The balm cannot be seen, only the results.